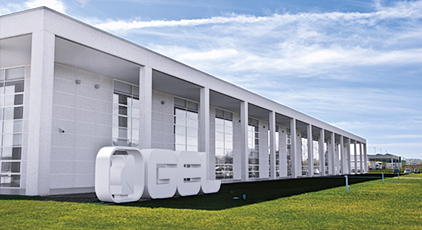 GEL have been operating in water treatment since 1979 with experience and professional competence recognized by the best operators and engineers in the field. The equipment designed and produced by GEL is the result of the technological evolution and made with materials suitable for contact with potable water by observing the regulations in force. Research and formulation of chemicals are inspired by the utmost strictness and environmental respect. A qualified Technical Assistance Service is kept constantly up to date through specific training sessions. • Analysis laboratory for internal use for chemical-physical water analysis. • Permanent Training Centre to boost the professional growth of partners, co-operators, Technical Assistance Service. • Engineering services for domestic and industrial systems. • Check of the operation of existing systems and adjustment to regulations in force. • Supply of "turnkey" systems. • Management of treatment systems.